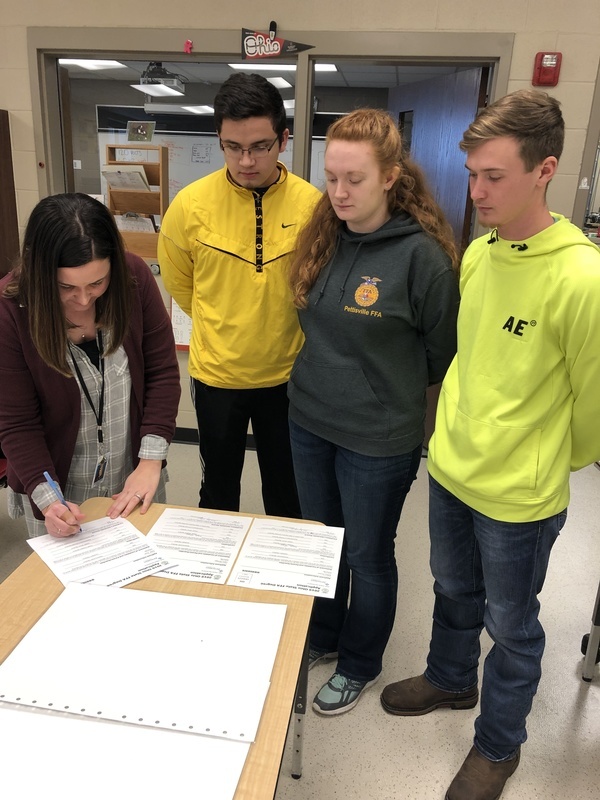 Mrs. Wyman signs applications for students. Three students submitted State Degrees this year. They will go on to be reviewed at regionals before going onto state. The State degree is only award to 3% of all Ohio FFA members.